And also, that really did happen. When you live in Asheville -easily the most beautiful city in the country this time of year- this IS a crisis situation. But, I digress. 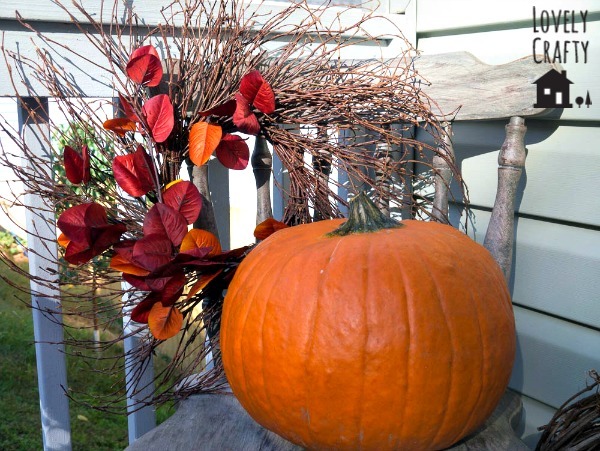 Fall is still here, and I’ve recovered from my near-death experience. 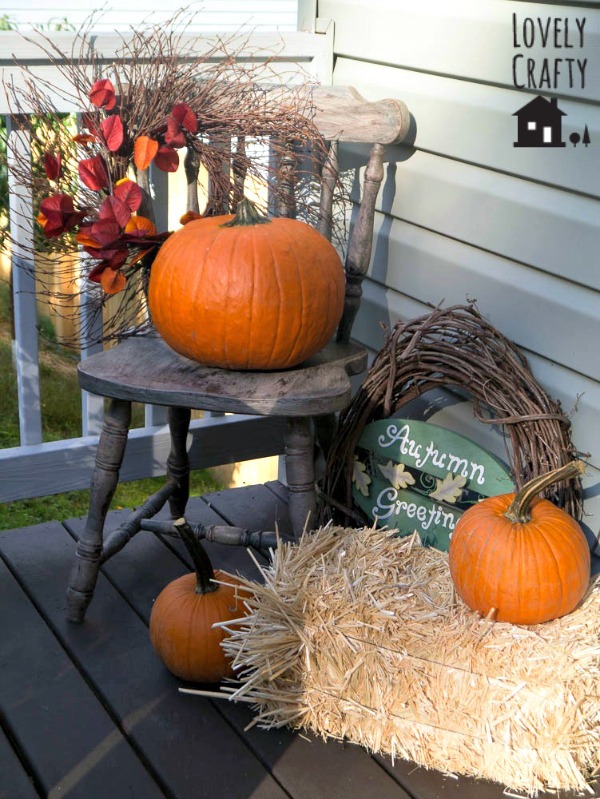 I wanted to show you this SUPER easy craft that would look great with your fall decorations or hanging on your front door. 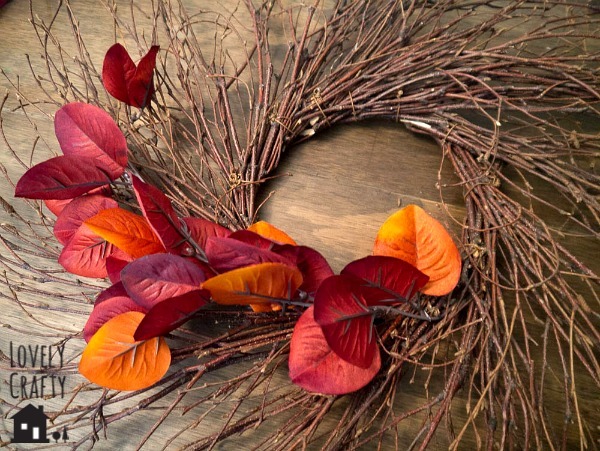 All you need is a wreath of choice and a stem of faux fall leaves. Please use a coupon or two for these items! Faux floral can be seriously overpriced. If the cashiers don’t try to run away when they see you approaching, you are not using enough coupons. This project is easy peasy. 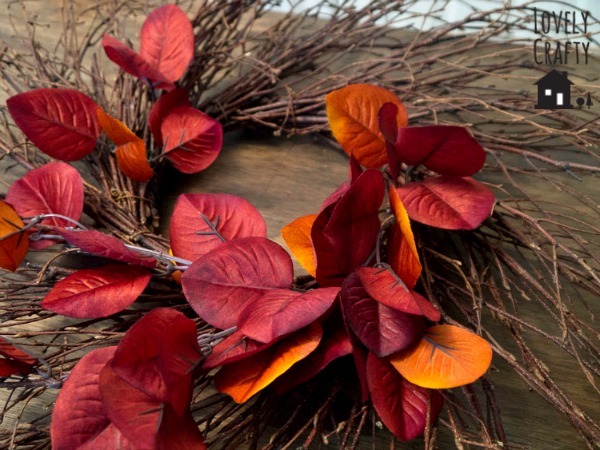 Just clip the individual branches and stick them in the wreath however you like. I found that using the little twiggy pieces to hold down individual or groups of leaves helped alot. You can also use some floral wire and tape to arrange single bunches. 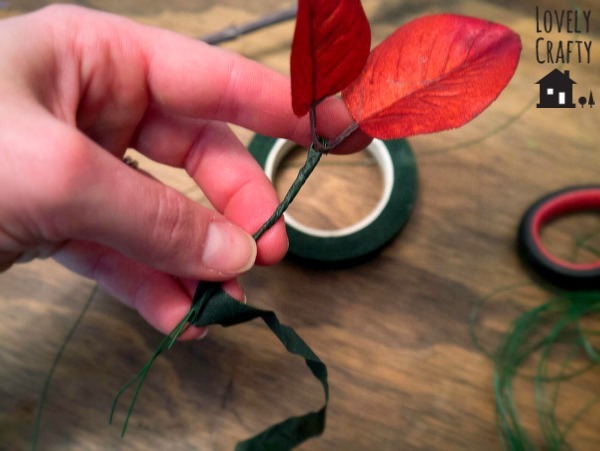 I cut two pieces of wire, threaded them through the little hole in the middle of the leaves, and folded them all together. 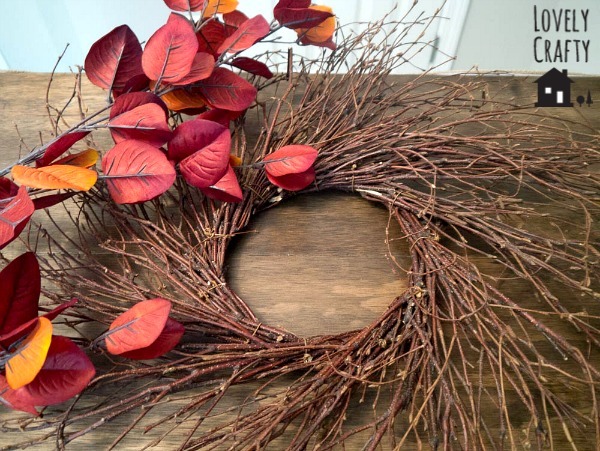 This creates a “stem” base to stick into the wreath. 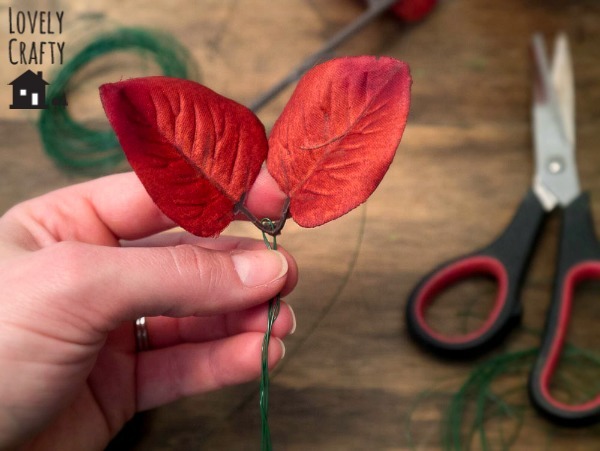 For a more in-depth tutorial about wiring flowers, be sure to check out my corsage tutorial. Then take some floral tape and wrap the wire. I’m pretty sure brown tape exists, but I didn’t have any, and well…this is a minor problem in the grand scheme of life. Add these smaller sections in wherever you like. 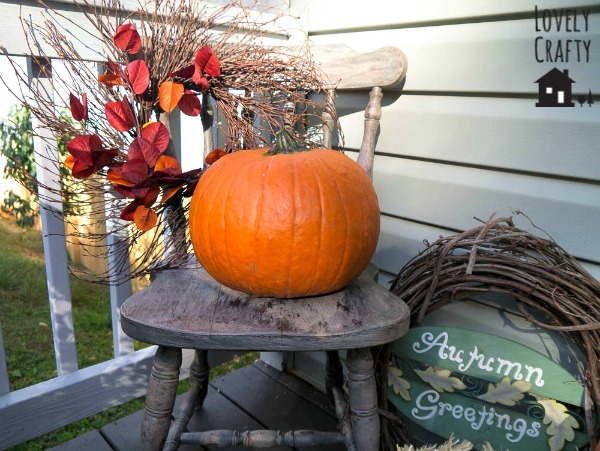 I decided to use this little guy on my front porch, along with some friends: the chippy chair, requisite pumpkins, and straw bale. 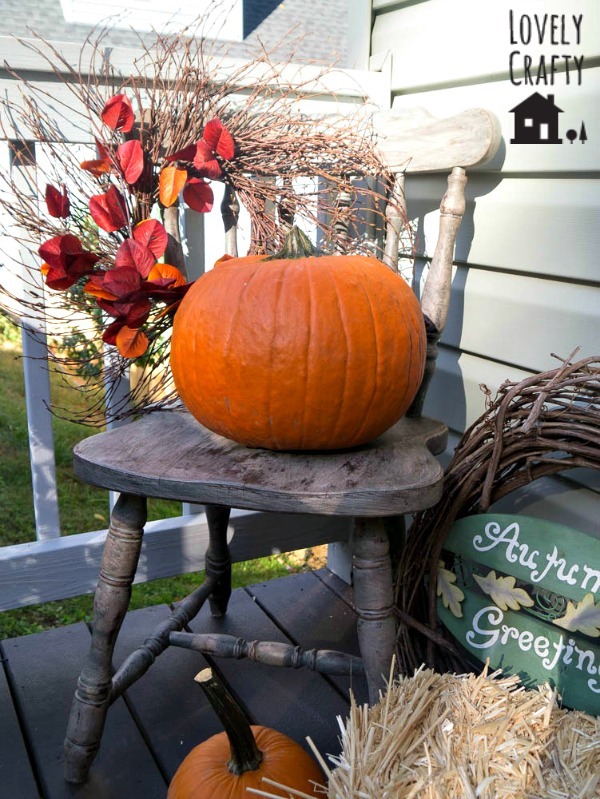 I hope you’re enjoying fall as much as I am!